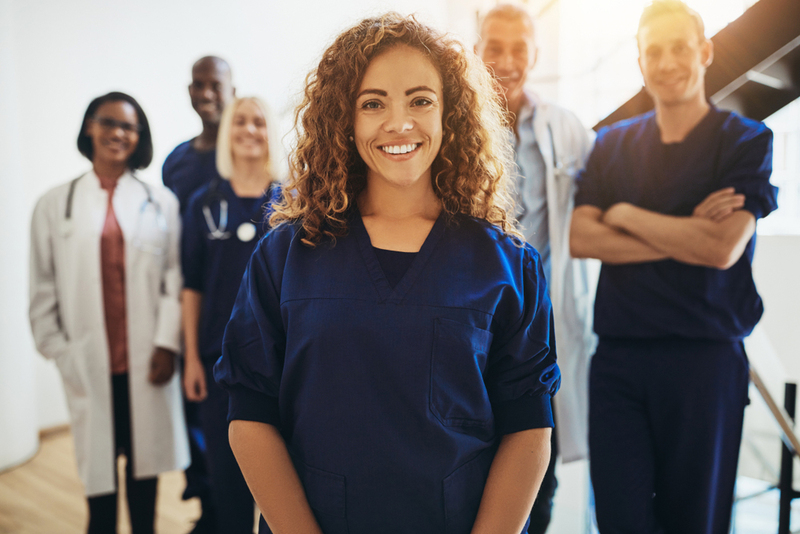 Whether you’re finalizing plans for this year or thinking ahead for next year, the ideas below will help you celebrate National Doctors’ Day at your organization! Commemorate a yearly celebration. Plan a luncheon, team breakfast, or organize a potluck dinner. Include everyone in the festivities; invite nurses, allied health professionals, and other employees to honor physicians. Then, print and frame Certificates of Appreciation for each of your organization’s doctors. This presentation can be kept very simple or you could opt for a more formal affair with a sit-down dinner, music, and speeches acknowledging physicians’ contributions. Offer a token of appreciation. Depending on your budget, this could be something modest but meaningful, like a red carnation—the symbolic flower of National Doctors’ Day, representing love, charity, sacrifice, bravery, and courage. If funds permit, you may choose to indulge in on-site chair massages from certified massage therapists or car detailing from a reputable, local service. The gift of time—a paid shift or half-day off—might be more difficult to coordinate but would be very well deserved and appreciated. If you’re interested in this option, you could stagger days off to ensure coverage by regular staff or entrust a reputable company, like Medicus Healthcare Solutions, to help arrange locum tenens staffing services. Say ‘thank you,’ and invite patients and other providers to do the same. It may seem like a small gesture, but a genuine “thank you” has a significant impact. Bonus: gratitude boosts morale, promoting a healthy culture at your organization, too. Promote the opportunity for others to say thank you by providing a creative display of cards, suggestions, quotes, or sample messages. Then, stage pens with a basket or “mailbox” for the completed cards that will be handed out on March 30. Don’t limit your celebration to a single day. Most importantly, make sure that your physicians are celebrated and honored throughout the year. Cultivate a transparent environment and use independent contractors to fill staffing gaps that result from open positions and vacations. Make sure your doctors know that their well-being is one of your top priorities; alleviate the stress they might feel from requesting time off and hire permanent staff to manage your critical, long-term needs and prevent physician burnout. No matter how you choose to celebrate National Doctors’ Day, your physicians will appreciate your thoughtfulness and your recognition of their valuable role in healthcare. Contact Optimum Permanent Placement Services at 603.816.9070 for assistance with your permanent staffing needs, and read our blog for helpful information and insights.